HS2 is back in the news this week with the Second Reading of the Phase 2a (West Midlands to Crewe) hybrid Bill. That’s quite a mouthful but what it means in effect is that parliament has moved a step closer to agreeing the second stage of the HS2 high-speed rail project. The first phase of HS2, linking London and Birmingham, is due for completion in 2026. Phase two, which will eventually link our city to Manchester and Leeds, should be up and running in 2032–33. Of course that timeline seems like a lifetime away, but for Birmingham’s HS2 Generation – the young people currently growing up across the city – this project will shape their lives and careers. That’s because HS2 is about so much more than fast trains to and from London. It’s about jobs, homes and opportunities for the people of this city. Our city is at the very heart of the HS2 network and we are ideally placed to reap the rewards of a major project that is already having a huge impact on our economy. The arrival of the first train may be eight years away but work to make the most of HS2 is already well advanced. Our £1 billion Curzon HS2 Investment Plan, unveiled last year, clearly shows that Birmingham is grabbing this huge opportunity with both hands. Centred around a spectacular new station, the Plan sets out how the regeneration potential of this opportunity will be maximised through a programme of local infrastructure that will integrate the new rail terminus and unlock wider development. Put simply it’s a plan to create 36,000 jobs, build 4,000 homes and boost the city’s economy by £1.4bn a year. In order to take full advantage of the opportunities created by HS2, we must also bridge the skills gap and ensure that Birmingham’s future workforce is ready. Thanks to our five universities, Birmingham is already a centre for academic excellence and last year the National College for High Speed Rail opened its doors to students. The latest addition to our academic offer aims to produce a new generation of highly-skilled professionals to lead Britain’s future rail industry. 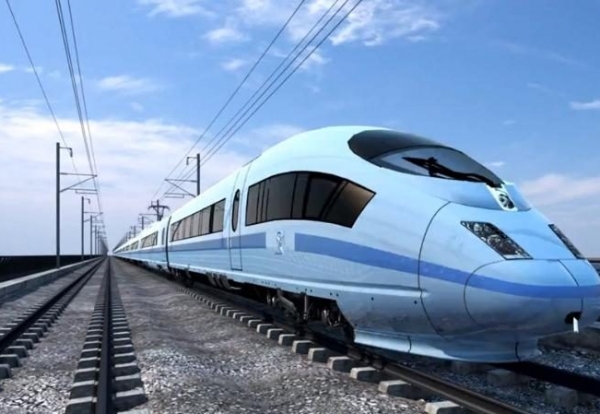 The brains and leaders of the HS2 network will be trained in Birmingham. Upskilling our workforce is clearly a huge priority in Birmingham. A report this week from the Centre for Cities highlighted the fact that the West Midlands is more exposed to job losses as a result of automation and globalisation. The report stated that 23 per cent of jobs in the region could be under threat. That worrying and challenging prediction makes it all the more essential that we attract investment and create the exciting new opportunities that Birmingham’s young and growing population needs. And that’s exactly what we are doing. This city is already home to HS2 Ltd’s HQ at Snow Hill, which will eventually employ up to 1,300 people. A further 500 people will maintain the rolling stock at the Washwood Heath Depot, which will be the operational and service hub for the fleet of high speed trains, while more jobs will be created at the state-of-the-art control centre. Growth Hubs across the West Midlands have joined forces and developed a programme of support to help local businesses and supply chain companies win HS2-realted work. A £20m Rail Growth Fund is in place, providing loans of up to £2m to rail supply chain firms. Of course HS2 also makes this city an ever more attractive place to relocate. The likes of HSBC, Deutsche Bank, Jacobs Engineering and Interserve are moving to the West Midlands because of the catalytic effect of HS2’s arrival. And as we edge closer to 2026, more and more companies and organisations will head for Greater Birmingham. That will mean more opportunities and better jobs. It will mean inclusive growth and it will mean a bright future for Birmingham’s HS2 Generation. This blog first appeared in the Birmingham Post on 1 February 2018. Cllr Sharon Thompson, Birmingham City Council’s ambassador for addressing rough sleeping and homelessness, outlines the measures in place to support rough sleepers in the freezing cold weather. Since the end of November our cold weather provision has been in place and will remain in place until the weather improves. We also have a Severe Weather Emergency Provision (SWEP) protocol, which is initiated in Birmingham whenever there is a yellow weather warning in place, or whenever temperatures have a real feel of zero degrees or below. The criteria for initiating the provision in Birmingham go beyond the Homeless Link guidance, as we base our activities on actual temperatures. SWEP opens up rest rooms across our supported hostels. It is particularly aimed at the most hard to reach rough sleepers to prevent them from being out in the most severe weather. It provides a hot meal and breakfast and an opportunity to try and engage with those accessing the provision. Access to SWEP is co-ordinated by Midland Heart, who deliver our commissioned outreach service. This service is known as HOST (Homeless Outreach Service Team). Website: www.streetlink.org.uk .You can use this website to send an alert to HOST about a rough sleeper. The first time you use this website you will need to create an account. This takes approximately 30 seconds and it is easy to use. 2. Via Salvation Army – this service operates as an out of hours service for HOST. It is only to be used outside of the core hours for HOST listed above. Anyone can refer individuals to this service by phoning 0121 236 6554. Please note that the Salvation Army operate a limited service and will signpost individuals to accommodation rather than outreach. They will base their decision on accommodation based on current availability; location of the rough sleeper and their known risk factors. This may involve referring them to Birmingham City Council Temporary Accommodation. 3. Via SIFA Fireside, 48 Alcock Street, Birmingham, B9 4DY – this is accessed by individuals by attending the centre and during its opening hours. 4. Via attending at the hostel – individuals can attend the accommodation providers commissioned by Birmingham City Council and request accommodation. However, this may be subject to spaces still being available and rough sleepers may be sent to alternative providers, if already full. In addition to the above, there are a number of voluntary providers who deliver overnight shelter provision, for example, As Suffa and the Church Night Shelter. Midland Heart will link in with them as appropriate. There will also be an annual Christmas Shelter, which will be open from 23rd -27th December run from St George’s Hub, Great Hampton Row.